This entry was posted in Collective Bargaining, Future of Unions, Labor Unions on February 20, 2013 by afscme. For too long organized labor has failed to ask the Dems, ‘Which side are you on?’…Democratic leaders who think their party can survive without labor are grossly mistaken. Who will turn out the base—MoveOn.org?…The fact is, the success of the American labor movement has always depended upon a welcoming policy environment facilitated by an allied political party. While many forces are contributing to labor’s decline, we can no longer ignore a central one: The once-reliable Democratic Party has abandoned the cause. However, the party remains heavily dependent on labor for financial and organizational infrastructure…. This entry was posted in Elected Officials, Future of Unions, Labor Unions, Politics on February 7, 2013 by afscme. This entry was posted in Future of Unions, Labor Laws/Legislation, Organizing, Strikes on January 31, 2013 by afscme. …First, the fact is that when unions are stronger the economy as a whole does better. Unions restore demand to an economy by raising wages for their members and putting more purchasing power to work, enabling more hiring. On the flip side, when labor is weak and capital unconstrained, corporations hoard, hiring slows, and inequality deepens. Thus we have today both record highs in corporate profits and record lows in wages. This country has gotten to today’s level of inequality because, ironically, those who work for a living think like atomized individuals while those who hire for a living organize collectively to rig policy in their favor. Today’s 97-year low is the result of decades of efforts to squeeze unions and disperse their power…. This entry was posted in Future of Unions, Labor Unions on January 31, 2013 by afscme. This entry was posted in Future of Unions, Labor Laws/Legislation, Labor Unions, Organizing, Strikes on January 28, 2013 by afscme. …State-level policy has recently become increasingly important to the fate of unions. States such as Indiana and Michigan passed “right-to-work” laws in 2012 that undermine the strength of unions by requiring them to provide services for which they are not compensated, while Wisconsin passed a law in 2011 that repealed collective bargaining rights for most of the state’s public-sector workers. These policy choices, as well as similar ones made in the past, can significantly impact unionization rates, and they help explain the wide variation in unionization among states. Using the Bureau of Labor Statistics data released today, along with data from an online database managed by economists Barry T. Hirsch and David A. Macpherson, we can see how trends in unionization have differed across states in recent years…. This entry was posted in Future of Unions, Labor Laws/Legislation, Labor Unions, Laws/Legislation on January 24, 2013 by afscme. Today, the Bureau of Labor Statistics released its annual summary of unionization in the U.S. It reports that in 2012, the union-membership rate of wage and salary workers was 11.3 percent, compared with 11.8 percent in 2011. The trend has been downward for some time: Fifty years ago, the figure was almost 30 percent. It’s conventional wisdom that the post-industrial workforce doesn’t want to be unionized. But survey data show that workers’ desire to join unions has been growing since the 1980s, and a majority of nonunion workers would now vote for union representation if given the opportunity. So if workers want unions, why is unionization falling? Commentators have also blamed the decline on everything from globalization to technological advances to the hollowing-out of American manufacturing. But those factors are only part of the story. Canada’s experience offers another answer. Canada has gone through many of the same economic and social changes as the U.S. since the middle of the 20th century, yet it hasn’t seen the same precipitous decline in unionization. The unionization rate in the U.S. and Canada followed fairly similar paths from 1920 to the mid-1960s, at which point they began to diverge drastically. This entry was posted in Future of Unions, Labor History, Labor Laws/Legislation, Labor Unions on January 23, 2013 by afscme. This entry was posted in Elections, Future of Unions, Labor Unions, Politics, Websites/Databases/Blogs on January 22, 2013 by afscme. Can Occupy and Labor Coalesce? 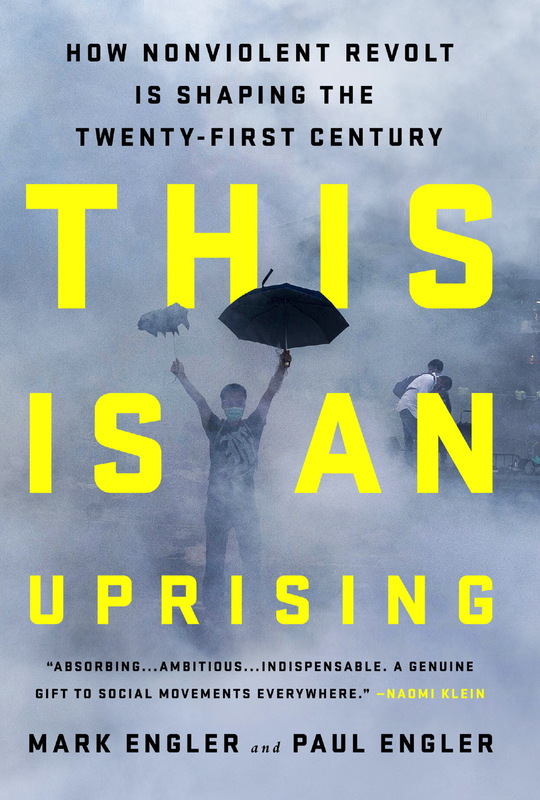 …With its emphasis on direct democracy, spontaneity and flexibility of tactics – and unbounded by union hierarchies or legal impediments such as the Taft-Hartley Act – Occupy has infused the labor movement with a fresh dose of radicalism…. Occupy has also leaned on labor at times. … But organized labor and Occupy haven’t always seen eye-to-eye. … In this sense, Muldoon said, Occupy wasn’t so much something new as it was a return to the basics. While expectations about the Occupy movement working successfully with organized labor may have been too high too early, OWS had a visible impact– and will continue to be a part of the fabric of the labor movement going forward, she said…. This entry was posted in Future of Unions, Labor Unions, Strikes on January 17, 2013 by afscme. This entry was posted in Future of Unions, Labor Laws/Legislation, Labor Unions on January 17, 2013 by afscme.